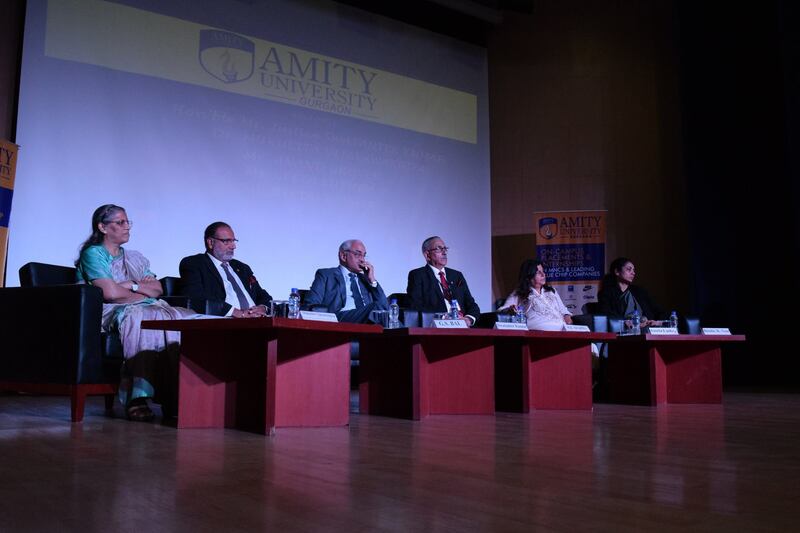 Hello and welcome to the live blog of the 3rd Amity National Moot Court Competition. Following the success of the last two editions of Amity National Moot Court Competition 2018, ALS is proud to announce the third edition of their flagship constitutional Moot. The competition will be held from 9th to 11th March 2018. 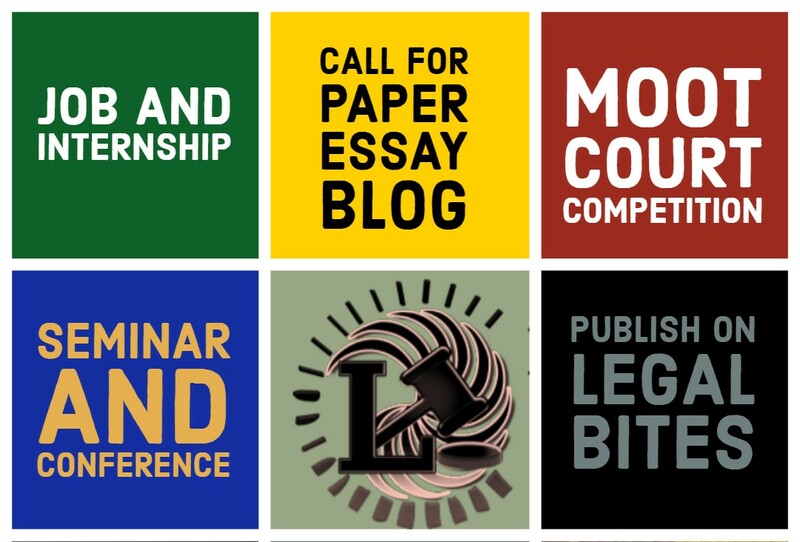 This edition will witness 40 teams competing for prizes of Winning Team, Runners-Up Team, Best Orator, Best Researcher, and Best Written Submission. Look forward to all the highlights and results of this competition being updated right here. Expect the highlights and results of the prelims followed by comprehensive live updates of the quarters, semis and finals. 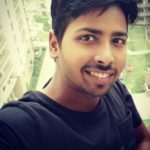 Stay tuned to this post for all the exciting updates. See you! 11:00 PM: The Registrations are now underway and the Participants are receiving a kit comprising of folders containing notepads, pens, brochures, and their matchups for the Preliminary rounds. 11: 45 PM: The Inauguration Ceremony will begin shortly. 12:05 PM: The Inauguration Ceremony is off to a great start. 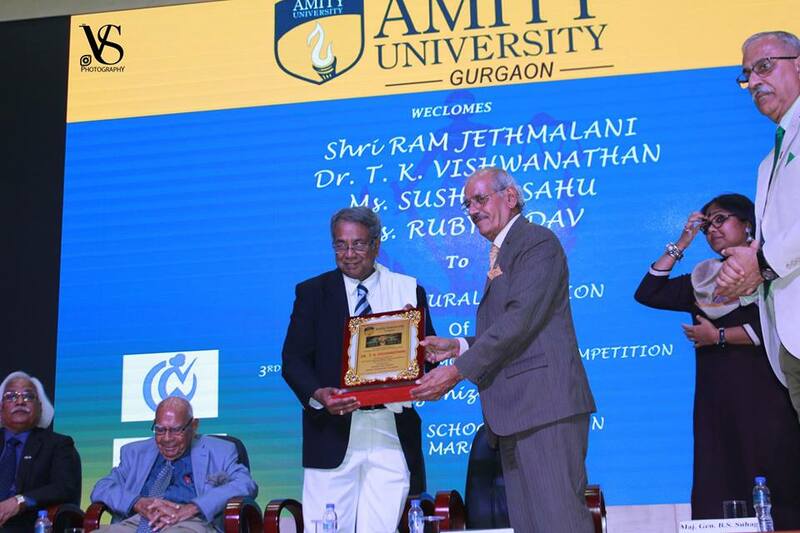 On the dais, we have Mr. Ram Jethmalani, veteran Lawyer, Dr. T.K. Viswanathan, Padam Shree, Ms. Shushma Sahu, Member NCW, Ms. Ruby Yadav, Social Activist Maj. Gen. P.K. 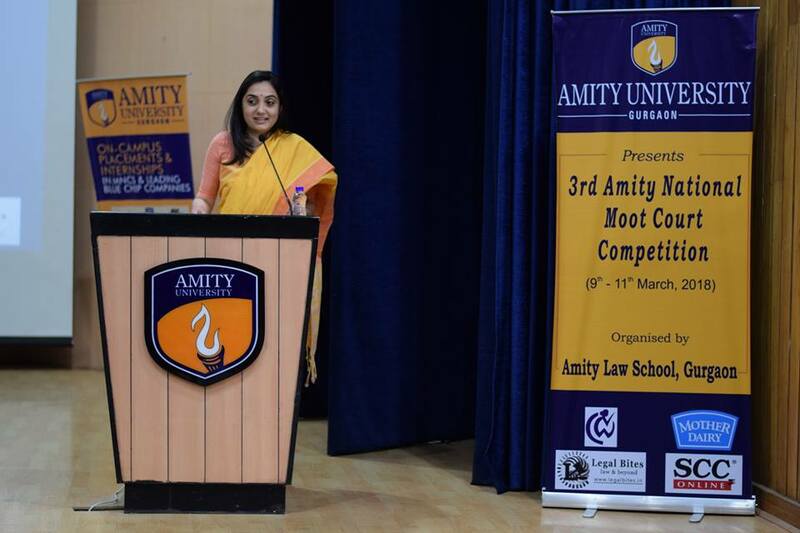 Sharma, Director, Amity Law School Gurgaon. With the dignitaries seated, the participants are also getting more and more excited. Further, he talks about the excitement of a criminal trial and hopes students will get to experience it one day. According to him, ‘it’s a fantastic journey, where the scales change every day.’ Overall, he emphasizes on the path of candour and righteousness that a lawyer should walk on. 1:00 PM: Sh Ram Jethmalani, veteran advocate and Member of Parliament, Rajya Sabha is addressing the gathering. 2:00 PM: All dignitaries and the audience were requested to proceed for the lunch. 4:00 PM: Post lunch, the researchers, are now to take the researchers test, which will last for one hour. Simultaneously, the speakers have now proceeded for the memorial exchange. 10:00 AM – Participants are well settled and the Prelims 1 is about to take place soon as per the match-ups. 12:05 PM – Lunch and Break time. 1:00 PM – Prelims 2 has begun. 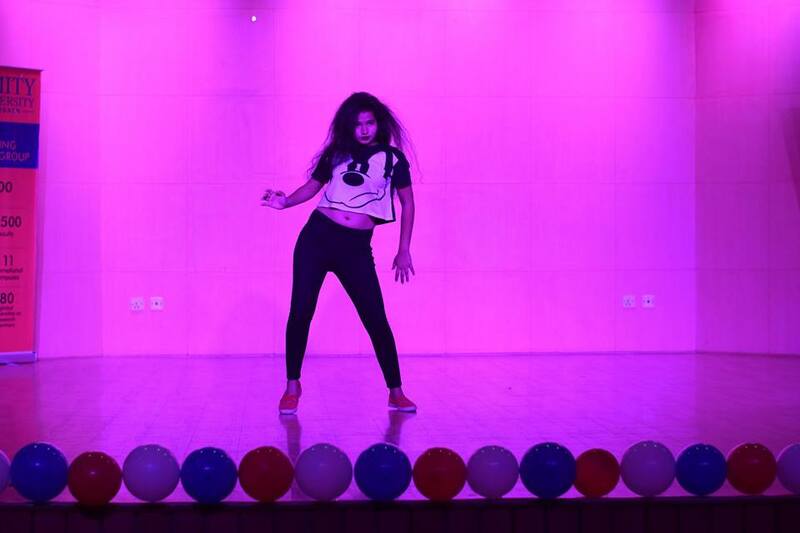 3:00 PM – Preliminary Round 2 is summed up. The teams are heading for a brief address by Mrs. Nupur Sharma, BJP Spokesperson (Delhi). The results are awaited shortly. 4:00 PM – Results are announced. Congratulations to the qualified teams!!! 4:15 PM – Draw of lots and exchange of memorials have started. 5:30 PM – The rounds have started. 7:30 PM – The quarter-final rounds have ended and the teams are heading for Gala Night as they eagerly wait for the results now. 10:00 PM – Yeaaahhhhh……… Finally the wait is over…..The RESULTS are out and we congratulate the qualifying teams..!!! 10:00 AM – We are ready to start the semifinal round. The teams are being ready. Further, the judges are being briefed about the moot problem. There’s a lot of enthusiasm in the environment. An atmosphere of excitement is being built as the audience wait in anticipation for the Panel to arrive. The participants are ready. 10:15 AM – The Panel arrives and all rise. 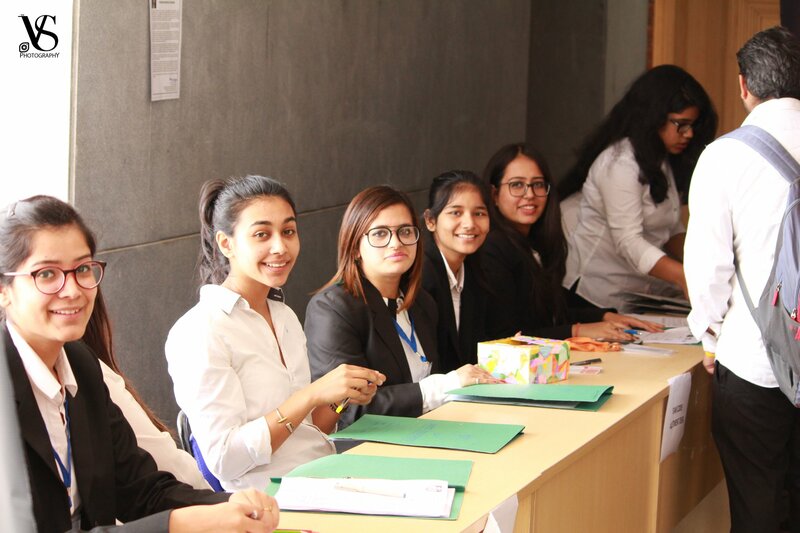 The Panel consists of Advocates, Researchers, Partners of Corporate Firms etc..
12:05 PM – The teams qualifying for the finals are School of Law Christ University and ILS Law College Pune. 3:00 PM – The finals are off to an exciting start, and proceedings are in full swing. The appellants’ first speaker has started his arguments with fervor and confidence. 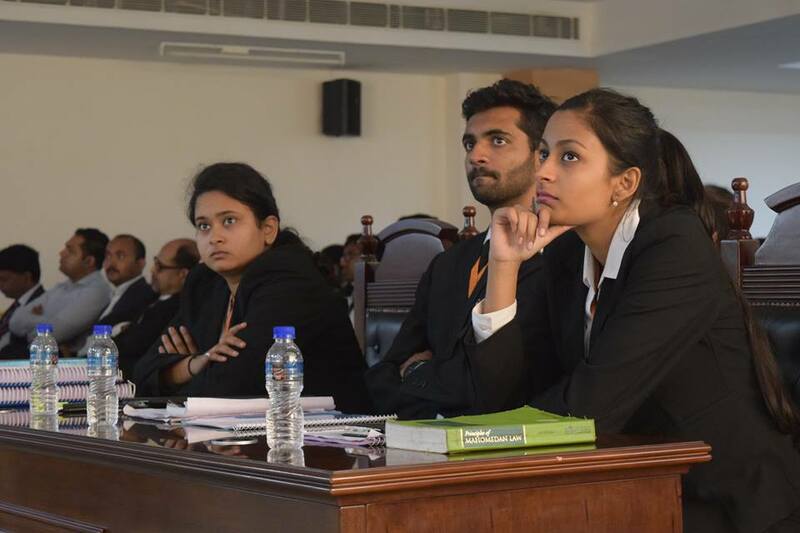 The teams have put forward there best effort and knowledge before this Honorable court, Fingers crossed … waiting for results …… Stay tuned. 4:40 PM – Everyone is now assembling for the Valedictory Ceremony. Justice Swatantar Kumar addresses the gathering by congratulating participants for their dedicated & enthusiastic approach to the moot. 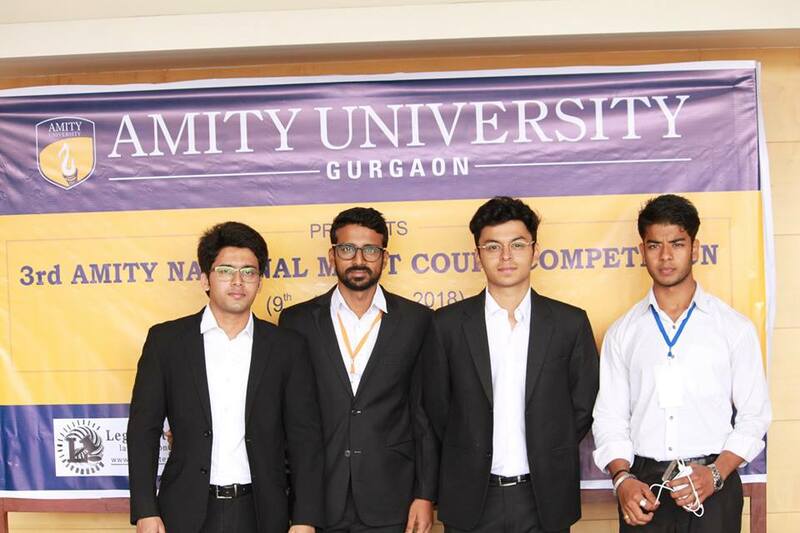 5:00 PM – Mayank Shekhar takes the stage to announce the results of the 3rd edition of Amity National Moot Court Competition 2018. The winners of the competition are School of Law Christ University. The Runner Up is ILS Law College Pune. 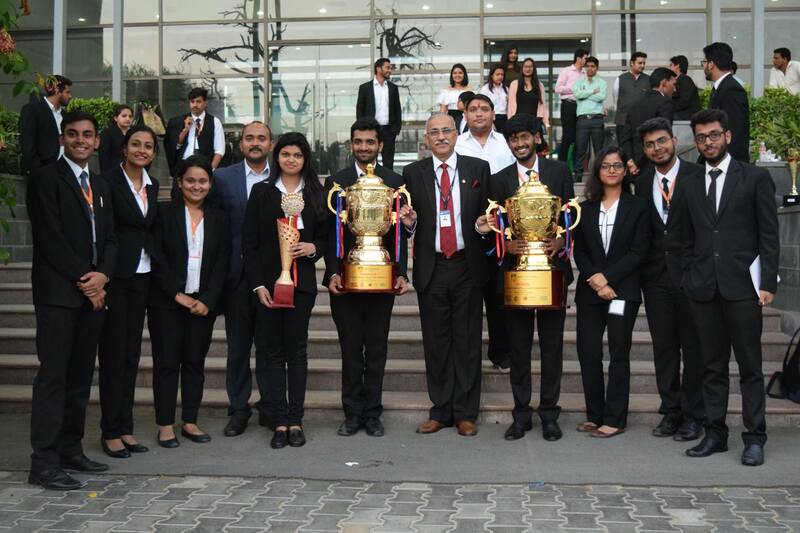 The Best Memorial Trophy goes to Symbiosis Law School, Pune. 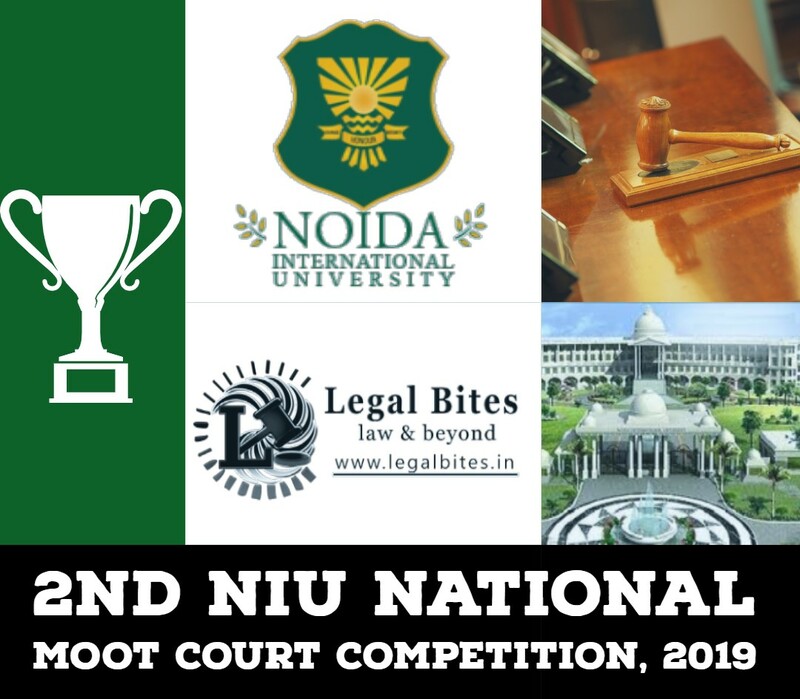 Congratulations by TEAM LEGAL BITES to all the winners and thanks to everyone who participated in this Moot Court Competition.